Did that hit too close to home? Sorry about that. It’s just that rejection, in any capacity, can really feel like a gut punch. Whether it happens in someone’s personal life or their professional life, rejection can leave a bitter aftertaste. It’s for this precise reason that employers need to formulate specific plans on how to let applicants down lightly. Their very reputation might depend on it. How candidates experience rejection from companies is directly tied to their candidate experience. If they’re given a clear, logical reason in a timely matter, candidates are more likely to still view that particular company in a favorable light. If they are left in the dark or feel that the reason for their rejection isn’t sufficient, candidates are going to turn on that company. And bear in mind that anything that hurts a company's employment brand also trickles down to their consumer brand. Every applicant is a potential future customer or client, and if they thought enough to apply in the first place, they may already be. 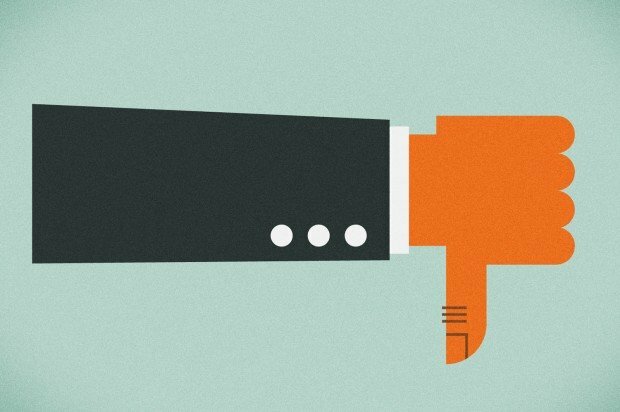 With that in mind, let’s take a look at some of the ways companies can make delivering rejection more bearable for their candidates. This seems like the easiest one to execute, but oftentimes, it is overlooked. Sure, it’s easier to do nothing. Instead of writing this post, I could have called in sick to work, eaten a breakfast burrito, and started making a dent in all those episodes of “The Walking Dead” I have recorded. The fact is, however, that I decided to take the time to write this. Employers should do the same. Communication and transparency between corporate recruiters and candidates have become so bad that a whopping 60 percent of candidates say they have been frustrated with a recruiter’s lack of communication. Additionally, 51 percent of candidates say they have flat out never heard back from employers. Employers who are actually invested in the candidate experience should be appalled by these numbers. When candidates know their standing, they are able to progress to the next application or interview, rather than remain hopeful about a position for which they have already been eliminated from contention. When it comes to delivering the news, some people may say phone calls are the way to go. I would argue for email, however. Emails allow companies to succinctly chart out their reasoning in eloquent and easy fashion. They also limit the potential for a foot-in-mouth scenario in which something that will upset the candidate is accidentally said. I’ve read about companies using text messages to deliver this news, particularly because they believe it shows that they’re in touch with millennials, a generation shown to have their phones with them 22 hours a day. I find text messages fairly diminishing, however. You shouldn’t break up with someone over text, and you should not let them know they’re out of the running for a job over text either. My official recommendation is email. When delivering the bad news, there’s no reason to rub salt in the wound. You don’t need to list every flaw that the candidate in question has, all the skills they're lacking, or even the stains on his tie. There’s a confident, classy way to let candidates know, and it doesn’t involve kicking them while they’re down. Additionally, candidates want to feel appreciated, but that doesn’t mean they want to be led on. If there is no chance they will be considered in the future, that needs to be clearly mentioned. It may be hard to hear, but it beats holding out hope for something that will never materialize. When rejecting candidates, it’s best to keep the points mentioned above in mind. Treating candidates with respect by actually communicating with them may sound like a novel idea to some, but it could very well be the difference between a good candidate experience and a bad one.